Manual and motorizable worm gear operators can be found in every quarter or part turn valve application throughout the world. From power, mining, water works to oil and gas pipelines, if torque is required, manual worm gear operators are there. 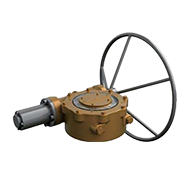 All units furnished with removable splined bushings to permit accurate position between the gear drive and the valve shaft. The drive sleeve is furnished with hardened steel thrust washers above and below the worm gear. 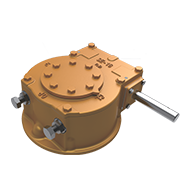 This minimizes frictional losses between the gear and the ductile iron housing.